Reliability – What is it? Reliability in the broad sense is the science aimed at prediction, analyzing, preventing and mitigating failures over time. Reliability is quality over time. A reliable, trouble-free product continues to satisfy customers for a long time. Reliability in the narrow sense is the probability that a device will operate successfully for a specific period of time and under specified conditions when used in the manner and for the purpose intended. You cannot purchase the reliability separately and add to your product for decreasing your expenses in the field (warranty period). The reliability assurance or improvement is an integrative process during development, production, field phases that must be implemented according to the internal standards for each designed product. You should invest the money during design and production for developing a reliable product and as result save more money during product warranty period. Your warranty policy should be based on product reliability analysis. Today’s customers both industrial and consumer, have become much more demanding about product reliability than they were a few years ago. Why? Because they know that they can get it!Who Gains From Good Reliability? Manufacturer – because his product has additional customer appeal, through higher quality, faster service, lower support cost. 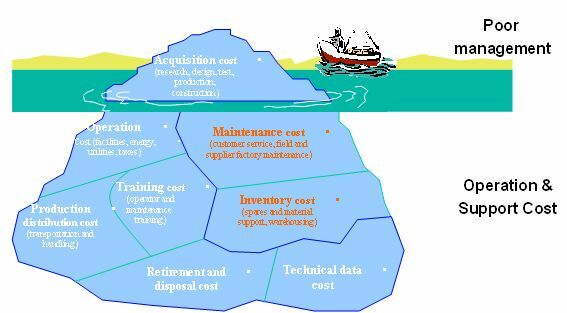 Reliability-related costs are all those costs resulting from product field failures or perceived failures from the time of shipment over the life of the product. They include warranty costs and the opportunity cost of lost customers. Improvements in reliability made by the supplier early in the equipment life cycle may result in total life cycle costs decreasing (significant decreasing of Maintenance and Inventory Costs) . What must be done to have reliable products? Check your problems and you will understand why you need us. • The culture at your company must give its proper importance to reliability. This may require painful compromises in some areas. • Quantitative assessments of Product Reliability must focusing on the identification and timely elimination of Design and Processing deficiencies that degrade product performance and operating life expectancy. • Communication channels with your customers must be open and formalized to capture their detailed comments related to product failures. • A well-conceived failure database of product field failure modes supported by failure analysis to root cause is fundamental to corrective action and improvement. • Reliability must be designed into products and be included in all aspects of business. The product development design engineering team should take the primary responsibility of your company’s product reliability. Formal product development processes and good project management practices are required. • Your procurement group must drive supplier quality and reliability through partnering. • Manufacturing has to use modern quality control methods to ensure that components and products are produced according to specification with negligible variation.